This summer I had a few quilting goals: make two for donation, finish Harry Potter, finish Liberty of London lap quilt, work on Scarlette's big girl bed twin sized quilt, and start a gift or two. My thumb and index finger are callousing nicely as I plow through these goals. Usually, I prefer to hand quilt but in the name of haste, I slapped the walking foot on my old Singer and got to stitching in the ditch. Harry potter quilt complete!! My fellow Potter quilter/soul sister of geekery mentioned embroidering some lyrics from The Very Potter Musical on the border. I chose to alter the lyrics a bit and this was the final quote: "Back to witches and wizards and magical beasts, to goblins and ghosts and to magical feasts. Back to spells and enchantments, potions and friends, to Gryffindors, Hufflepuffs, Ravenclaws and Slythernis! Back to the place where our story begins, it's Hogwarts!" If you are a Potterhead... and I mean legit Potterhead, and have not watched this musical spoof... please do. It is hilarious. The link above is for Act 1. I started this quilt just before my friend Ashely left for Turkey two years ago. Happy to have it completed. 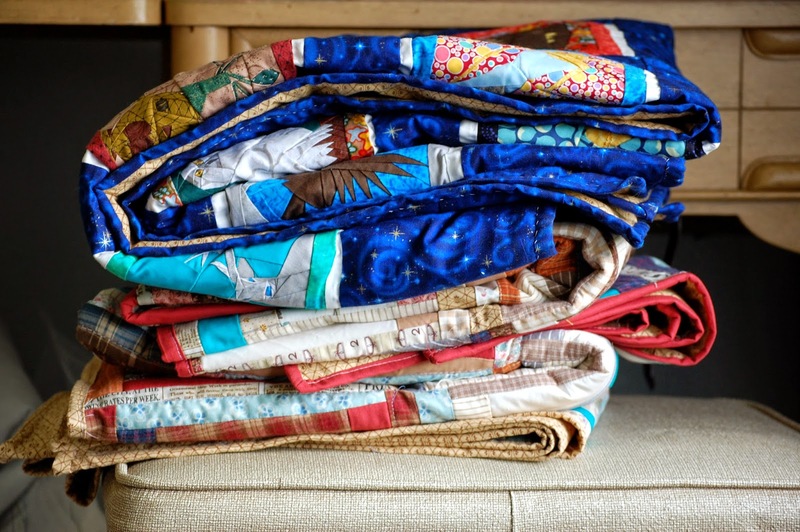 I am fascinated by quilts! In 6th grade, we had a week long intersession where all we did was learn how to quilt. We did everything by hand and I still to this day have no idea how to use a sewing machine! Of course, my quilt turned out horribly and my friend's mom had to fix it on her machine lol. But it was an awesome experience and gave me great appreciation for the time and effort it takes to make a quilt. 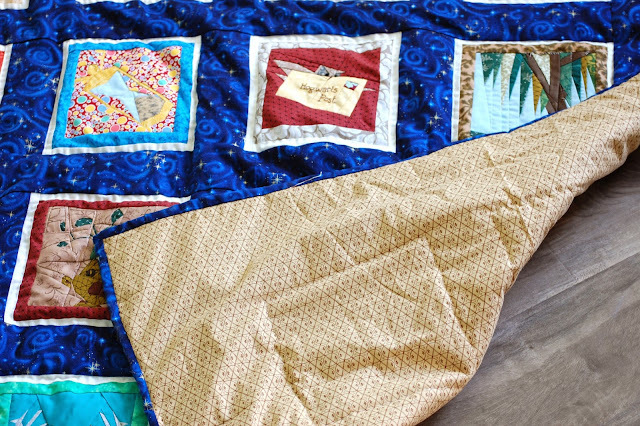 Those are both gorgeous quilts and I'm sure it's such a feeling of accomplishment to have them completed! The Harry Potter one is so much fun! How cool to learn in middle school! I prefer to hand quilt but the machine does make it quick and easy. :-) The Potter quilt is my current favorite. Hope you have a nice Sunday! Your talent knows no bounds! You are such an excellent craftswoman! That HP quilt is something else, though, it is so obvious the amount of time and effort you put into each of your creations, down to the last stitch. Wow, it's just incredible, Julie! This might sound stupid, but is callousing good for quilting? Maybe makes it better when you prick your finger, maybe it doesn't hurt as much? <3 aww thank you Lauren! I did put a lot of love into it. Callouses do help me with the needle because I don't do well with thimbles or finger covers. Makes it too awkward for me. But nature provides a great remedy! You simply amaze me Julie! 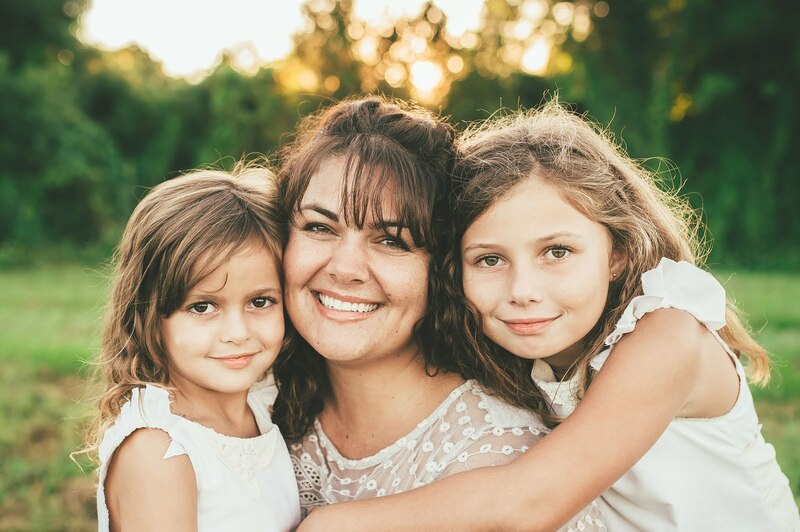 I'm very blessed to be in possession of a couple of your creations--I cherish them so much. <3 thank you Sunnee! That means a lot to hear. I appreciate it. 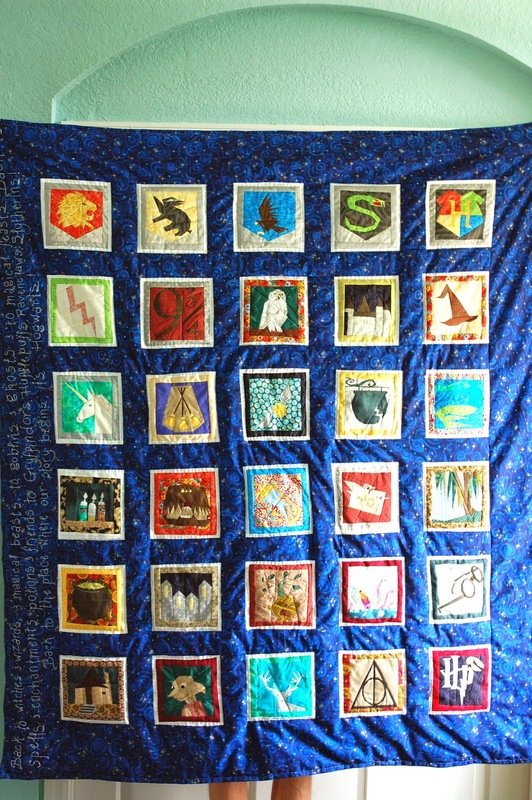 I'm bowing down to the amazingness that is this Harry Potter quilt! Thank you!!!! It was a labor of love indeed. I have aspirations of making a Lord of the Rings/Hobbit one next but oooooo weeeeee. They take a while. I STILL need to finish Scarlette's quilt.